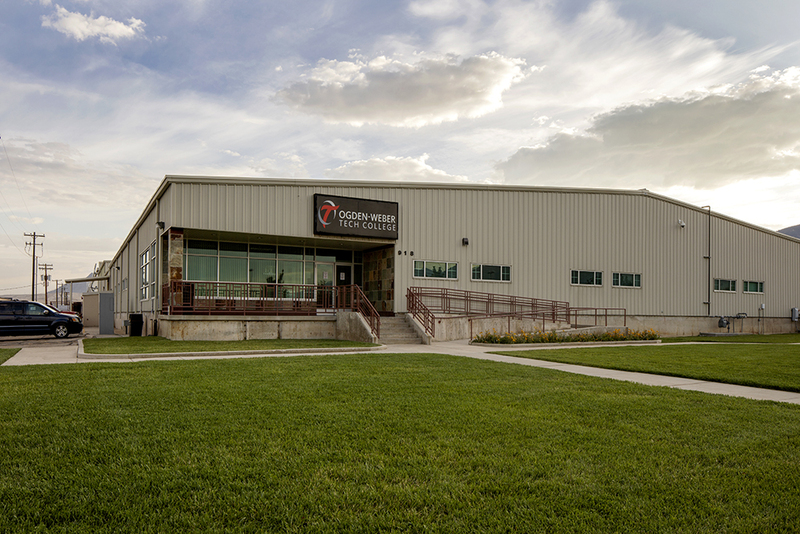 R&O completed the build-out and tenant improvement of a 43,000 sf existing education facility with 3,000 sf of mezzanine to be used for classroom, labs and school studies for composites. The building shell remained from a World War II army hangar building. The building design called for unique aesthetic elements. 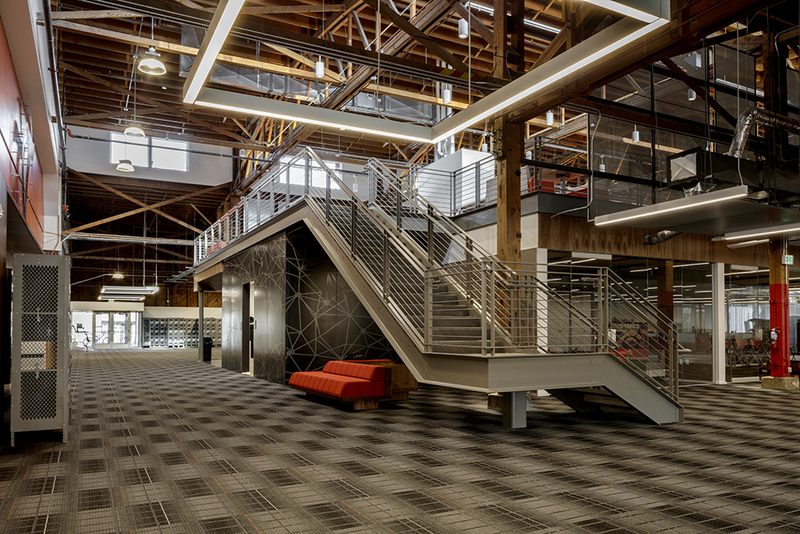 Lumber trusses and extra-high ceilings were retained from the original building. 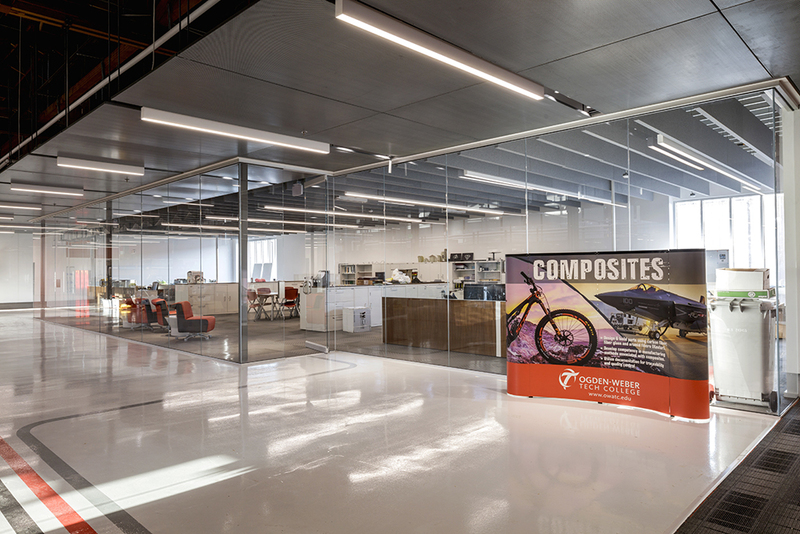 Perforated metal panels throughout the building were utilized to obscure some of the construction elements and tie in with the end user educational programs. 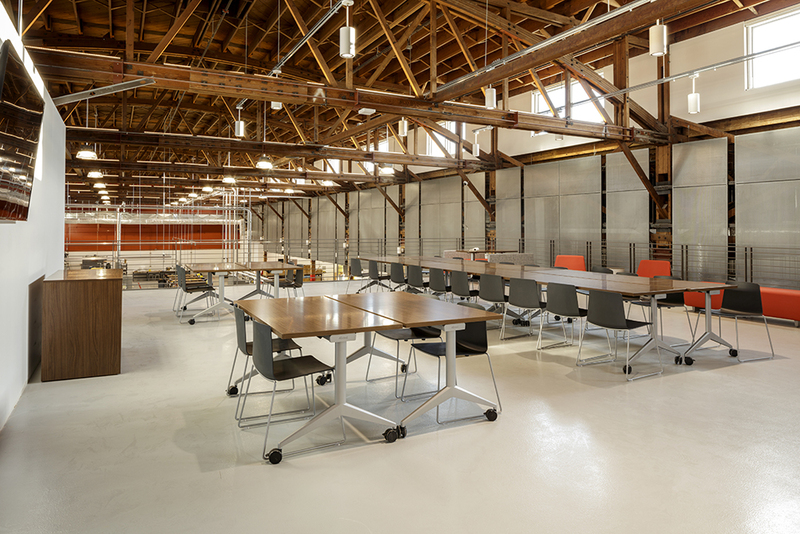 Wood finishes soften up the metal components and contrast with the industrial feel and function of the space. Because we were working in a building that was nearly a century old, we had to make special accommodations. For example, the live load for the roof was at its maximum capacity, so we had to be very mindful of what attached to the roof and the architect designed load bearing rooms within the space that held the majority of heavy equipment. 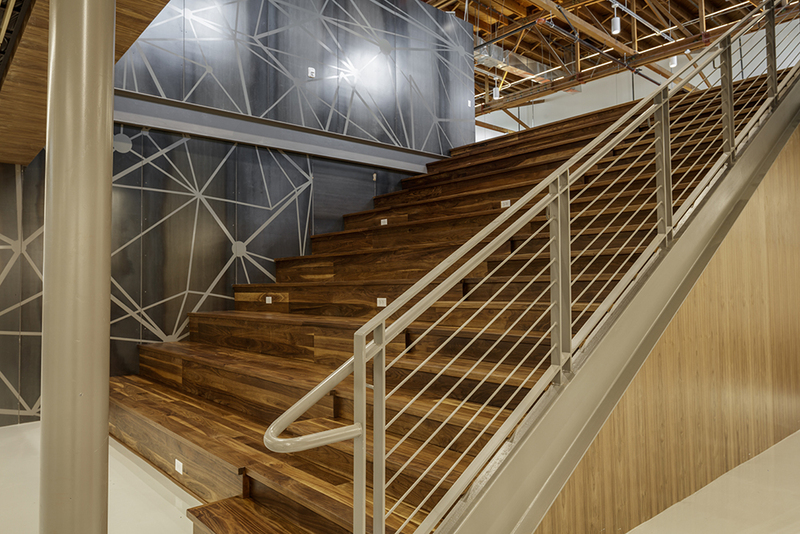 Since the building was originally built with wood timbers and bow trusses we utilized the space on top to route any cables or structural elements. We also dealt with uneven floors that were rarely level. Even so, the final product is a unique combination of old and new, reflecting the ages old trades that are taught, using cutting edge technology.